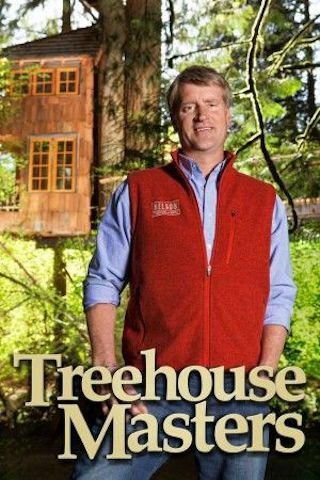 Treehouse Masters is an American 60 minute reality diy television series, which kicked off on May 31, 2013, on Animal Planet and is broadcast every Friday at 20:00. The show is currently in its 11th season. Animal Planet is yet to announce the renewal of Treehouse Masters for Season 12 as well as its cancelation. Sign up to track down the show's status and its release date. Often described as a tree whisperer by his clients, colleagues and contemporaries, Pete Nelson dedicates his life granting people's dreams of turning peaceful nooks in nature into the ultimate escapes. In Treehouse Masters, Nelson and his team execute the most outrageous treehouses designed to delight every whimsy, form and function. Whether he's contriving magnificent multi-bedroom treehouses with state-of-the-art kitchens and bathrooms or rendering simpler, peaceful one-room escapes, Nelson always goes out on a limb to create the most breathtaking treehouses with spectacular vistas.